THE VAULT website went to “ground” back in August 2015 and hasn’t posted anything since that time. However, upon hearing the news today of the passing of one of our favorites, Nelsan Ellis, we had to reopen the doors just for a bit to remember him. Below is our tribute to this wonderful man who lost his life too soon. We at the Vault want to recognize just how much we appreciated Nelsan Ellis’ portrayal of Lafayette AND how much we will miss him on this planet. His acting talent was beyond measure which makes it so tragic to see his light go out at such a young age. I remember seeing him in other productions such as “The Help” and “Get On Up” and lately in the TV series “Elementary” and he was always wonderful in all he did. Nelsan, we will miss you more than you could ever know! 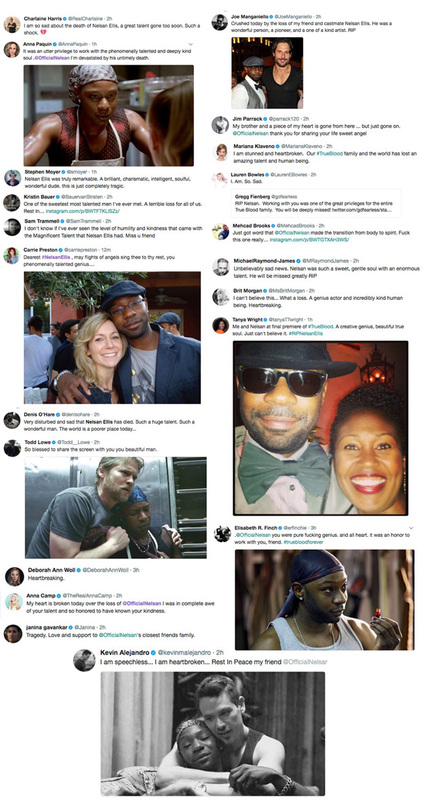 Below is information about Nelsan’s untimely death, reactions by the True Blood Cast, the fan sites and how you can donate to two charities in lieu of sending flowers to remember him. The information about Nelsan’s death came from, his manager Emily Gerson Saines. On True Blood, Lafayette was a short order cook at Merlotte’s. In the books, he was killed off, but because Ellis made him such an enjoyable character, he survived in the series. 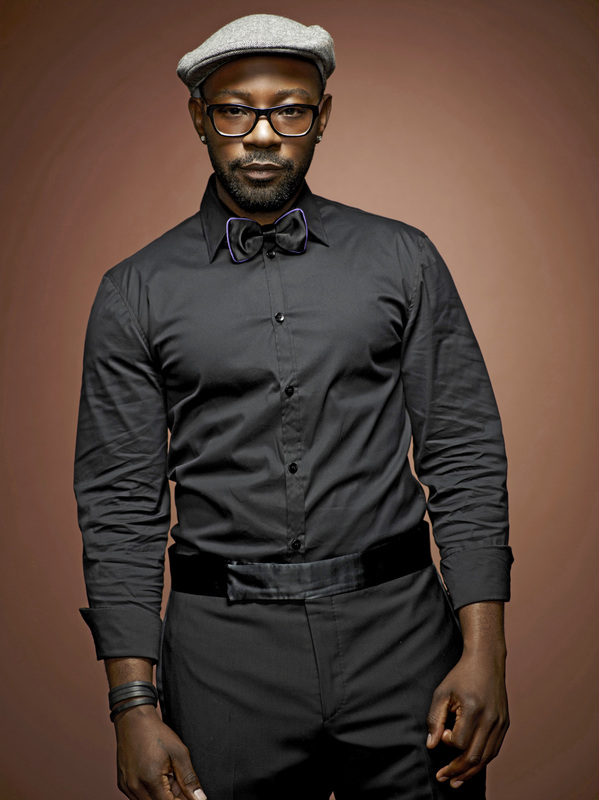 Ellis appeared in numerous film and TV shows, including The Soloist, The Butler, Get On Up and Elementary. Ellis was born in Harvey, Ill. He attended Thorn Ridge High School in Dolton, Illinois. He later attended Oxford University and Columbia College in Chicago, before graduating from the famed Juilliard School. Ellis is survived by his grandmother (Alex Brown), his father (Tommie Lee Thompson) and his son (Breon Ellis). He is also survived by his siblings – Lakeeia Thomson (sister), Tommie Lee Thompson (brother), Babon Ellis (brother), Maurice Turne (brother), Tianna Thompson (sister), Shaentika Beard (sister), Yvonne Ellis (sister) and Tartheaia Thompson (aunt). His mother, Jackie Ellis, predeceased him in death. Recently, he was part of the cast of CBS’s Elementary, as Shinwell Johnson. (GET MORE INFO HERE). He was also recently in some great films such as, The Help, Get on Up where he played the part of Bobby Byrd and in Lee Daniels, “The Butler” he played Martin Luther King, Jr. He was also in two new films that are yet to be released, True To the Game and Nausea…for Millenials (short). But, for True Blood fans, he will always be remembered as Lafayette. Below are some scenes with Lafayette that we want everyone to remember; how could you forget. UPDATE: Stephen Moyer and Anna Paquin have both written a tributes to Nelsan on their Facebook page. See a screenshot below or visit Anna’s facebook page. To all the True Blood fans, Nelsan was not just great at portraying Lafayette, but he was also a truly great actor. It’s interesting to note that he was really nothing like Lafayette in real life making his portrayal that much more spectacular. He was great in every role he had. Extremely sad. Nelsan Ellis passing away at age 39 is shocking. 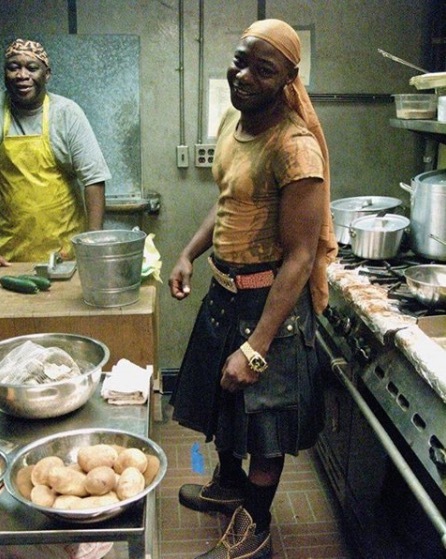 He lit up the screen as True Blood’s gay short-order cook Lafayette. A truly exceptional, stand-out actor. My thoughts are with those who are hurting, and tgose personally touched by his amazing grace. Truly in disbelief. I felt like he was part of my Family. I read Charlaine Harris’ book series that became True Blood. I was mesmerized! Nelsan was a FORCE from the first episode until the last, as we all know! As you already know, he was killed off in the first book in the series. BUT NOT MY LALA!!!! He was an integral part of True Blood! Come on now, Hooka! We’ve ALL quoted him!!! Waiting for Sunday to add to our repertoire! Sending thoughts and prayers of love and comfort to Nelsan’s Fam, friends and all who were touched by his magnificence. THis absolutely breaks my heart. Nelsan was such a great actor not just in True Blood. He was one of my favorite actors of all time. When you watched something he was in you could just see how much he had a passion for acting. He truly put his whole life and soul into his role. Lafayette was one of everyone’s favorite characters in true blood. I always laughed because anyone who has read the books knows the character is entirely created for the show after the first season. Despite the fat that I can’t stand when shows change so much from the book the show would not have been the same without the dramatics of Lala. It sounds bad but I grew up watching true blood. I started watching in 7th grade and the last episode shown on the day I moved into my first college dorm room. It was my one hour a week that nothing else mattered. Nelsan was such a big part of that. It breaks my heart knowing now there can never be a real True Blood Reunion show. It is a sad, sad day when we lose such a wonderful actor and a beautiful spirit. May he rest in peace with his mother. Thanks I so need this, it’s like a familly member died. He really became apart of us and part of the fandom. Is thier a way we can send a message to his familly? 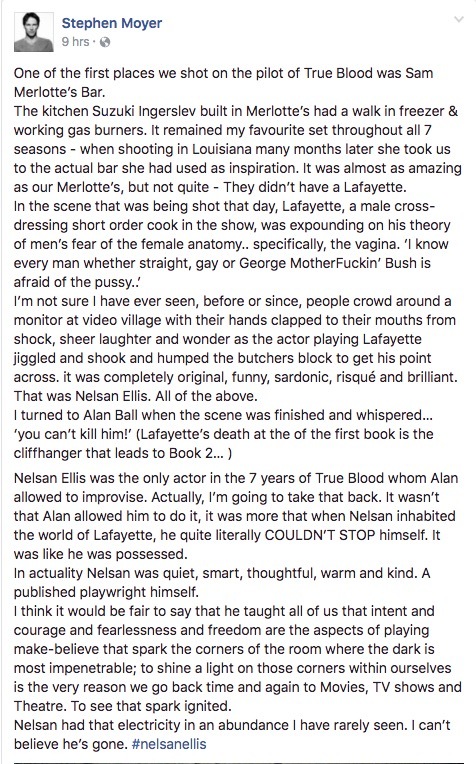 Every single True Blood fan I know LOVED Nelsan’s character of Lafayette. He was such a huge talent! This one hurts so much! He truly had a talent in bringing life to every character he played. Gone way to soon. God has a bigger role for you. RIP young soul. I stumbled across TrueBlood one day and the very first episode I watched was good but the moment I became hooked as after a scene with Nelsan. The character he brought to life was just so real and brilliant it was difficult to turn away. Truly an amazing talent and I am extremely sadden to hear of his passing. My thoughts and prayers are with everyone affected by this including his family and friends. Lafayette was my most favorite character. I was over joyed to see him in the movie Secretariat, The Help and Get On Up. Heaven is overjoyed and a little brighter with Nelsan there. Much love and respect to you. You were the best of the best, love you. Rest in peace, you have placed your mark in this world. My heart is truly saddened by this. His character was one of a kind on True Blood. I enjoyed his roles in Get on up and The Butler.. RIP. 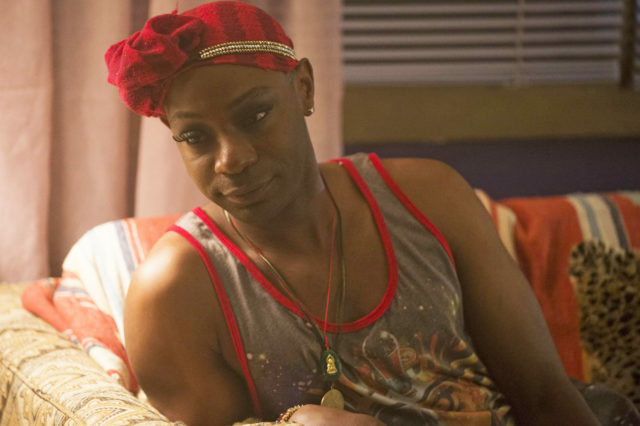 I never heard of Nelsan Ellis before his portrayal of the fabulous Lafayette but after True Blood ended, I followed his career. In every role he played he stood out effortlessly. He was a great actor (to say the least). But I loved him as Lafayette the best. He made me laugh and cry at the same time. So happy I can turn in the TV to still see him again and again, but am saddened that I won’t see how more amazing his life would have become…and it definitely would have because he was AMAZING. This one hurts. He was truly a gift from god…he blessed us with every part of soul…we were so blessed to have had such an angel on this earth…you made me laugh,you made me cry, you taught me to be who i am !To be bold and to love with out conditions…you will be so truly missed..thank you for being you! Fly angel fly! My heart is heavy with hearing about the passing of such an amazing man! Nelsan, nobody could have portrayed your character better than what you did and you were definately one of my personal favorites. Rest easy my friend! What a shock to learn he is gone. He was absolutely brilliant as Lafayette. Time and time again I’ll return to the kitchen scene where Lafayette shows off those 6 gears his hips possess … and the Aidsburger scene is one of my all-time favorites, on ANY SHOW! He had a recurring role in last season’s Elementary, and did a masterful job. He will be sorely missed. The world has lost a phenomenal actor, and from everything I’ve read, a beautiful human being. Rest in peace, Nelsan! There will never be another Lafayette. Nelsan Ellis, you will be sadly missed and your family, friends and TB family are in my prayers. A new Star shines bright in the Heavens tonight. May you Rest In Peace Nelsan. We loved Lafayette he was truly an amazing actor. My heart goes out to his son and family. So deeply saddened by the loss of such a talented young man! RIP Nelsan! My hometown actor is gone.. I’m so sad and felt like I knew him personally. He made me laugh, he made the world of everyone who watched true blood laugh. 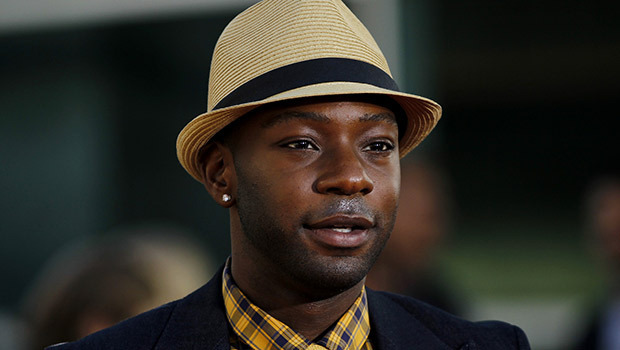 Talent like that, can’t be replaced.. R.I.PARADISE Nelsan Ellis.. Such a tragic loss of one so young. His portrayal of Lafayette was outstanding. Very, very sad news. Hope he knew what a wonderful impact he made playing Lafayette. He obviously will be missed, but never forgotten. Heartfelt condolences to his family and friends. Rest in Peace Nelsan. Sadden to learn such a beautiful bright shining star has extinguished far too soon. What a pleasure to watch Nelsan embody different characters seemingly so effortlessly, especially the much beloved Lafayette. We will miss you… Condolences to his family, friends and all that feel the loss of his passing.